ISRO's latest communication satellite GSAT-15 is all set to be launched on November 10 from French Guiana on board Ariane 5. Preparations for Arianespace's sixth heavy-lift mission have advanced into payload integration phase with GSAT-15 satellite making its first contact with the launch vehicle, it said. GSAT-15, developed by Isro, would provide C- and Ku-band telecommunications and navigation services to India. It will have a lift off mass of 3,164.5 kg. "Flight VA227 (Ariane 5) is set for a November 10 lift off. It will mark Arianespace's 10th launch this year", it said. GSAT-15 would be launched along with Arabsat-6B, set up by the Arab League Inter-governmental Organisation. Arabsat will be launched to provide telecommunications and television broadcast services for Middle East and African region. 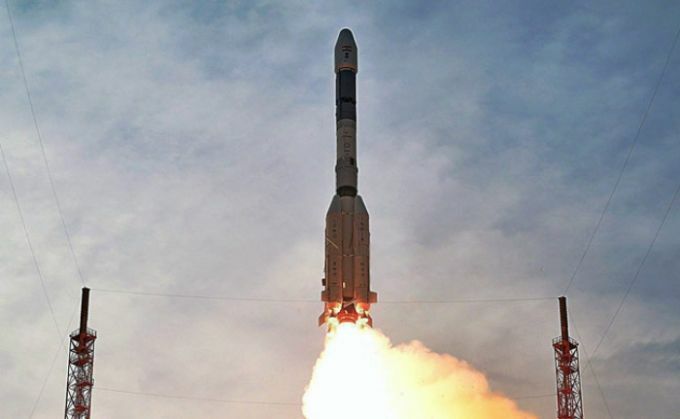 The mission life of GSAT-15 will be 12 years.